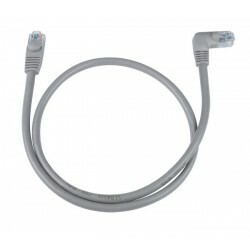 90-degree CAT6 Right Angle to Straight Shielded Cables feature RJ45 corner connectors and fit in small confined spaces. 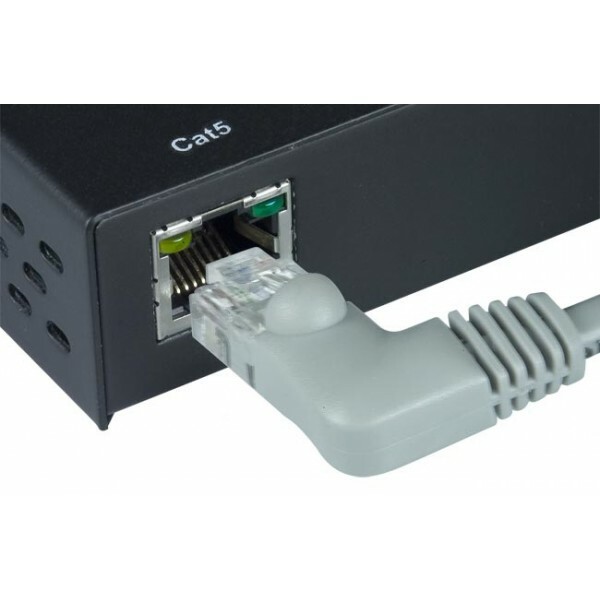 VPI's VPCAT™ Right Angle to Straight Shielded CAT6 Cable is used in network applications such as 10Base-T, 100Base-T, 1000Base-T Ethernet technology to 100 meters (325 feet), and have been designed specifically for Gigabit Ethernet applications (Gigabit over copper).They perform at high-data transfer rates, and work with ATM and gigabit speed products. These cables deliver improved performance over standard Cat5e cables. This is the newest fully-approved system-standard CAT6 Shielded Twisted Pair (STP) cable. CAT6 is completely backward-compatible with current CAT5e equipment. These right angle Category 6 patch cords are assembled with T568B four pair stranded cable, and are ideal for confined spaces. They consist of a foil shield with drain wire to protect signals from external noise, and a strain relief boot to reduce stress on the cable. Foil shield with drain wire protects signals from external noise. Right angle configuration useful in tight fit situations.